What’s wrong with people? It’s just amazing what some people will do when nobody’s looking. 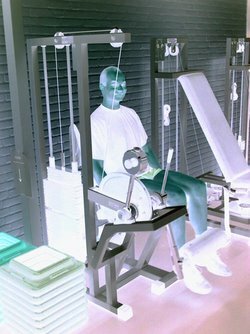 I was working out at the gym yesterday afternoon. It was kind of quiet, not a lot of people there—which I prefer. I had to use the ladies’ room, and you all know by now I’m a little wary of going in public bathrooms to begin with, no less a gym’s bathroom full of sweat and other miscellaneous odors going on. Instantly, upon walking into the locker room, I start to smell something funky. Okay, granted, it’s the ladies’ locker room, but this smell was quite different from all the rest that I’ve encountered here. The bathroom stalls are in the next room, and the locker room is separate. Why am I smelling feces? 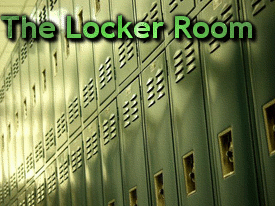 I can’t imagine someone taking a crap in the locker room—so what’s giving off that smell? I went back to where the stalls were. No smell. It actually smelled pleasant—some kind of deodorizer was sprayed probably. I walk back into the locker room section again. Now, even stronger, I begin to smell crap. I can’t believe this. I look around all corners to see if everything was kosher. Nothing. I looked under the benches. Nothing. I can’t figure this out. I even stepped on the bench, to see what was possibly on top of the lockers. Nothing. All clear. Forget about it. Someone probably just had really bad gas, and left the room—leaving it fumigated for all. Fine. Whatever. So, I go about my business and start grabbing my things from my locker. It’s then, that I noticed that someone left their locker door cracked open. Since I have OCD, all lockers need to be closed. I twitch if they’re not lined up perfectly. I walk over to the locker that was cracked open, decided to take a peek, and low and behold---there was the culprit. It was a baby diaper. Not just any baby diaper—a used one. Why on God’s earth would anyone leave their baby’s dirty diaper in a locker? There are huge garbage cans that close. Why not chuck it in there? I don’t get people sometimes. It’s such a lack of respect for others and it really pisses me off when I see people behaving this way. Are they not aware of the three foot trash cans that sit on each side of the restroom? This one dirty diaper consumed the entire bathroom with the stench of baby crap. I was praying my clothes that were stored in my locker didn’t have any aromas lingering on them. In any event, if that’s not enough to make you sick, then think about this: Most people in a gym don’t wipe off their workout equipment—even when they see you waiting for the machine. I really think some people do this on purpose. They give you that weird look; almost as if they want their sweat on you. You expect the best, and hope that the guy or girl is respectful and wipes down their machine...but they don't. They just wiz by you to get to the next "clean" machine. So, what's the etiquette here? Do you rush over to the sanitizer wipes and do it yourself--letting the other person know what a pig they are? Or do you sit in their puddle of sweat just so you don't hurt their feelings? These are the type of people who throw their dirty diapers and beyond in a locker.